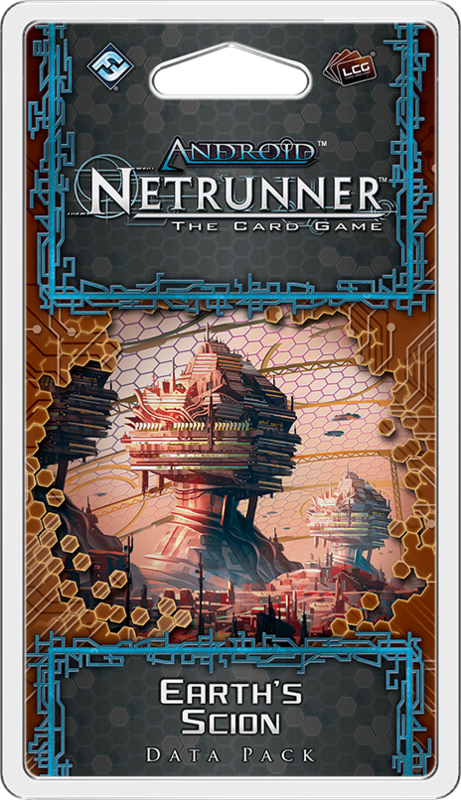 Fantasy Flight Games is proud to announce the upcoming release of Earth's Scion, the third Data Pack in the Red Sand Cycle for Android: Netrunner! Who will control Mars? Every twenty-four hours and forty minutes, the Big Four insinuate more of their products, services, management, and agendas into every aspect of Martian life. Soon, their presence may be as inescapable across the whole of the red planet as it is in the cities and nodes—and as it is on Earth. 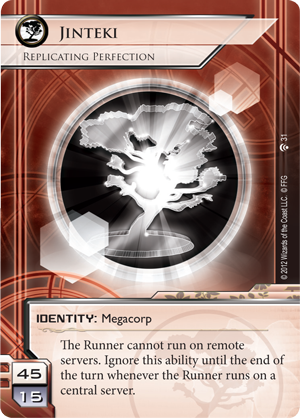 Can the runners who migrated across the solar system for a taste of freedom push back against this corporate expansion? And what role will the Martian Clans play? Will they trade generations of grudges and tradition for easy corporate credits? Will they feed vital information to buccaneering net jockeys? Or will they play both sides against each other? One thing is certain: conflicts on Mars don’t look like conflicts on Earth. With fewer resources to go around, all factions must experiment more and play it less safe. The biggest question is—what are you prepared to sacrifice? 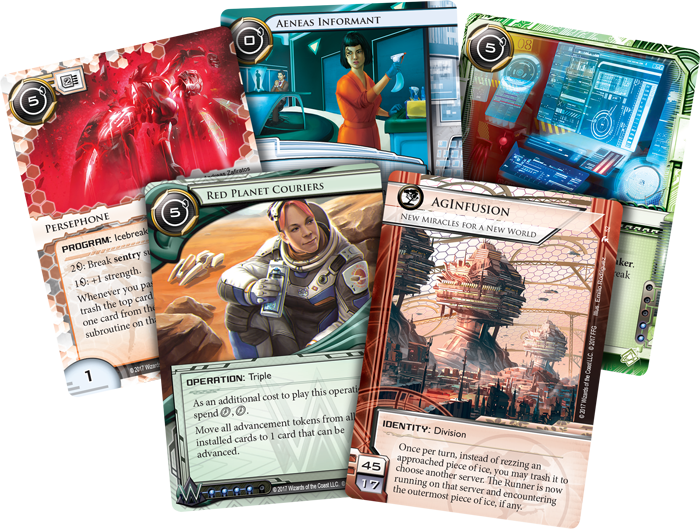 The sixty new cards (three copies each of twenty different cards) of Earth’s Scion reveal how far some factions are willing to go in order to see their vision for Mars come to pass. 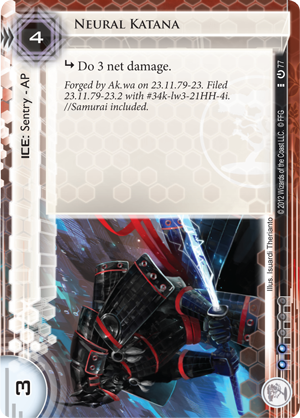 For Jinteki, Mars is a planet of unparalleled opportunities. 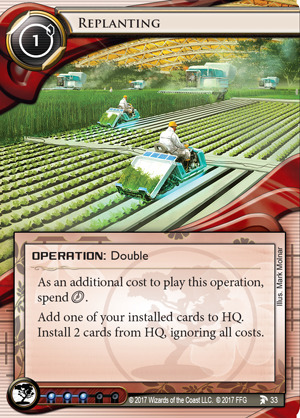 As Earth’s preeminent manufacturer of biotechnology, Jinteki is better equipped than anyone to supply Mars with the food and labor it needs. 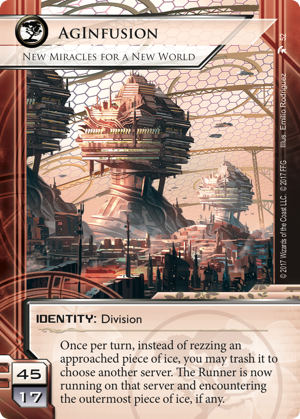 AgInfusion (Earth’s Scion, 52), a division of Jinteki, has risen to prominence due to its successful experiments in growing modified crops on the surface of Mars. But its experiments are not without costs, and it’s barely even a secret that AgInfusion’s real strength lies in cornering the market on agriculture with its patents and passing the expenses onto the Martian residents who need its goods. 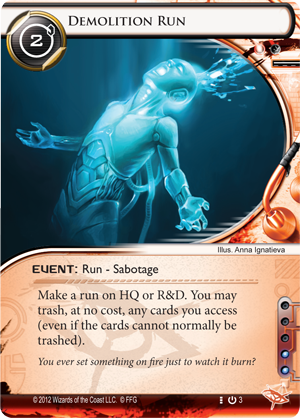 As an Android: Netrunner identity, AgInfusion reflects this knack for experimenting while passing the expenses down to others. 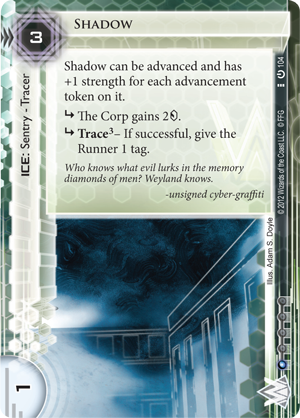 Once per turn, you can trash an unrezzed piece of ice as the Runner approaches it to redirect the Runner to a different server. The ramifications of this ability are far-reaching. 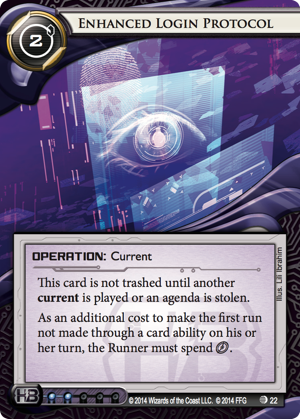 At the simplest level, this ability resembles Jinteki: Replicating Perfection (Trace Amount, 31) and forces the Runner to leave an extra click available to run on their real target. 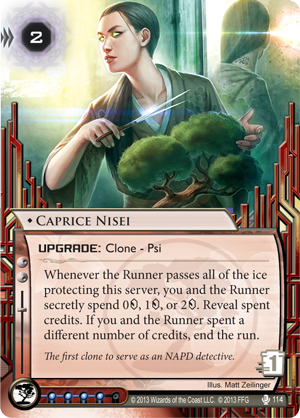 Combined with Enhanced Login Protocol (The Spaces Between, 22), Caprice Nisei (Double Time, 114), or an agenda counter from Nisei MK II (Core Set, 68), this can make it incredibly taxing for the Runner to successfully attack your scoring server. But AgInfusion offers more than just a one-click tax. 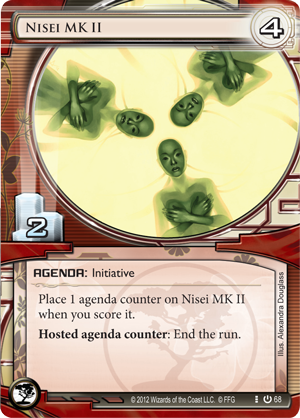 Along with Replanting (Station One, 33), the identity continues to improve Jinteki’s shell game. 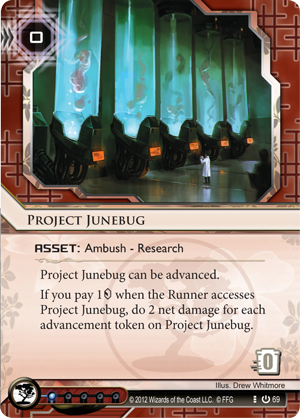 If you redirect the Runner to a server with an advanced card, will he run face-first into your Project Junebug (Core Set, 69), or will he jack out, unaware that he was really running against The Future Perfect (Honor and Profit, 7)? 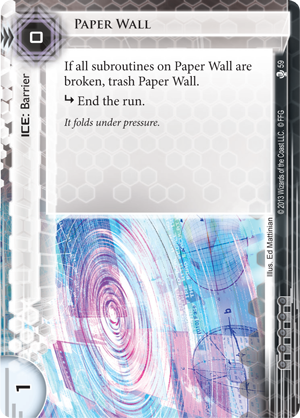 Of course, you can always just trash a Paper Wall (Mala Tempora, 59) that’s not going to slow them down in order to force them against your Neural Katana (Core Set, 77) before they install their sentry breaker. 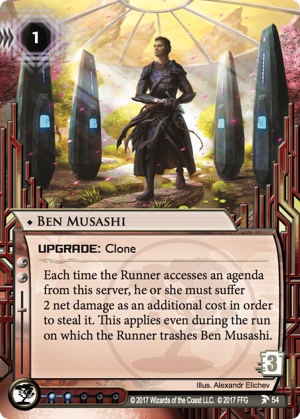 And like all supplies on Mars, the Runner’s cards will be at a high premium as upgrades like Ben Musashi (Earth’s Scion, 54) make it harder than ever to steal agendas without taking net damage. 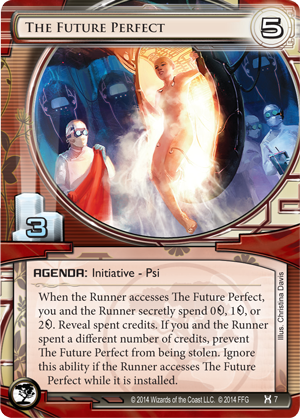 The Runners on Mars stand to benefit from experimentation as well. 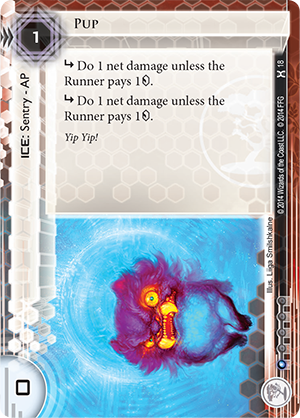 While any Runner with the right breaker can get past a piece of ice, it takes a truly creative Runner to make more strategic uses of Mars' limited resources. 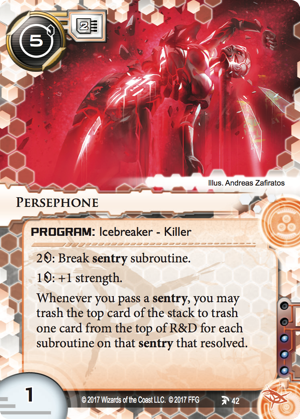 Anarchs on Mars might employ Persephone (Earth’s Scion, 42) to trash cards from the top of R&D in exchange for letting select sentry subroutines resolve. 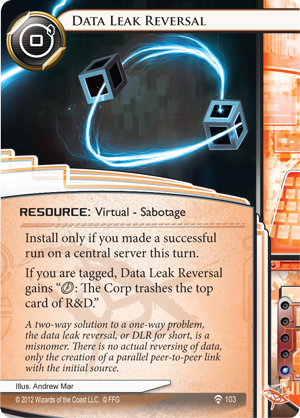 And for anyone chipping away at R&D with Noise (Core Set, 1), Data Leak Reversal (Future Proof, 103), or Demolition Run (Core Set, 3), it might not be a big sacrifice to let the Corp gain two credits from Shadow (Core Set, 104) or to take a point of net damage from Pup (Honor and Profit, 18). 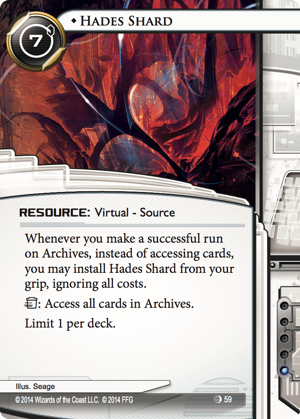 After all, these minor setbacks might spill enough agenda points into Archives that you can win with a well-timed Hades Shard (First Contact, 59). 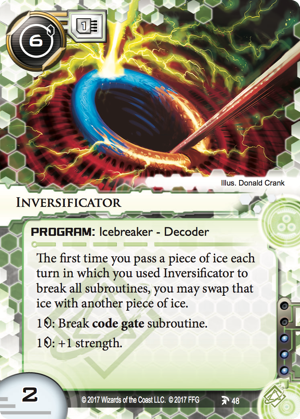 Less destructive Shapers might appreciate the controlled chaos offered through the Inversificator (Earth’s Scion, 48). 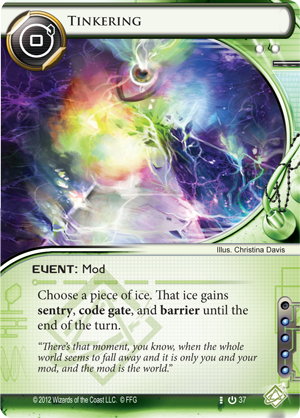 The ability to reorganize ice can prevent the Corp from building taxing walls in front of R&D, or even eliminate the worst threats from AgInfusion. 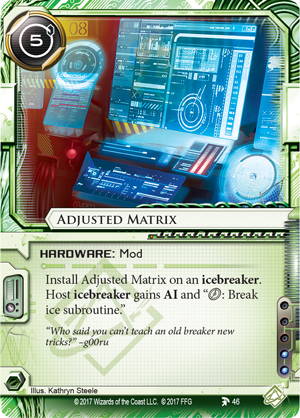 Although Inversificator normally only works against code gates, Shapers have plenty of ways to make it useful against all kinds of ice, including Rielle “Kit” Peddler (Creation and Control, 28), Tinkering (Core Set, 37), and the new Adjusted Matrix (Earth’s Scion, 46). 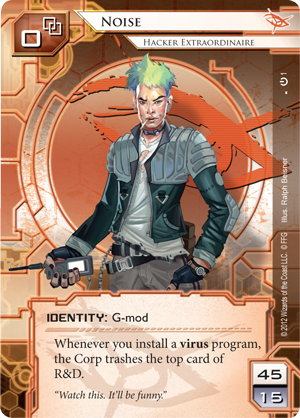 Whether you want to mess with corporate defenses just to show them that you can or because you want to raze their arcologies to the ground and declare yourself the ruler of the Martian Underworld, the programs and hardware in Earth's Scion will offer you new tools and new opportunities to define the late game! Almost everyone, from corporate executives to net criminals, is focused on developing new tech to adapt to life on Mars. Resources aren't as readily available as on Earth. Mag-levs don't yet reach all the communities among the rapidly expanding outreaches of Martian life. And the cities may not always know what the nodes are doing. But while experimental technology can take time to develop and may not always be reliable, there's a lot to be said for making the most of what you have. On Mars, there's no room to be wasteful; you need to make the most out of what you've got because you never know who might try to take it from you! 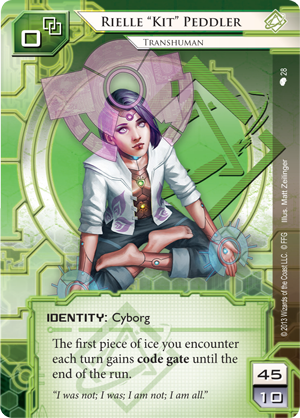 Look for Earth's Scion to arrive at retailers in the first quarter of 2017!